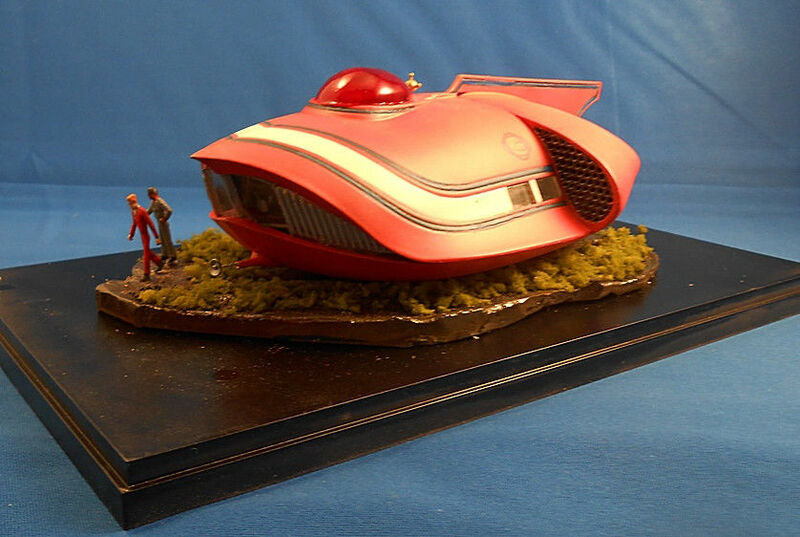 Featured here is the Polar Lights/Aurora Spindrift spaceship display diorama from the 1960's TV series 'Land of the Giants'. 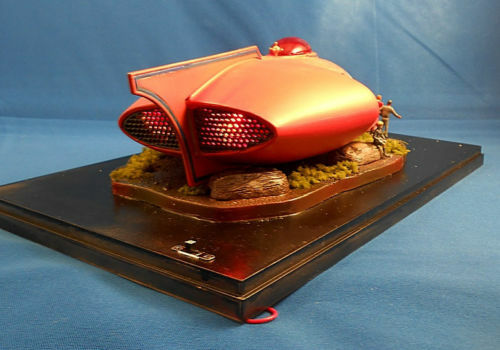 Model is wired with lighting with a convenient on/off power switch on the model base. 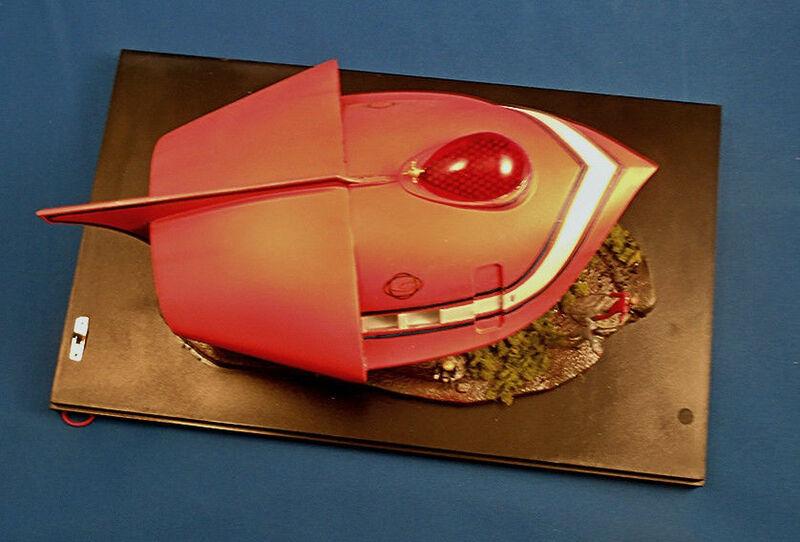 The model features an upgrade resin interior (top is glued) with interior and exterior decals by JT Graphics and an accurate top dome by Just-an-Illusion. 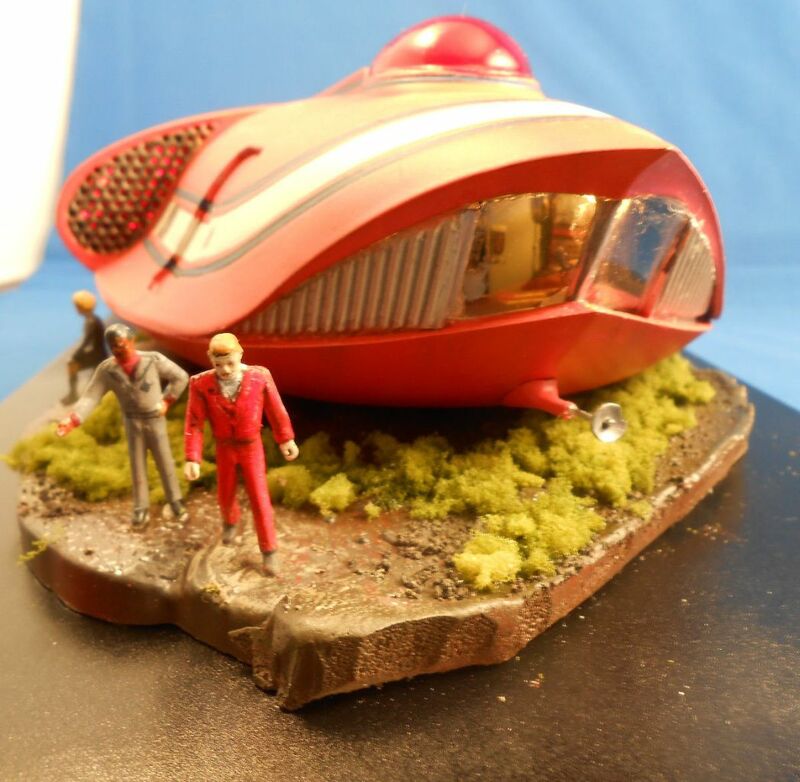 Model comes with an arcylic display case with base and scale crew figures.